Hell Hath No Fury is a fascinating look at female murderers. We tend to think of women as the nurturers so we are stunned when we hear of these cases. Some of the murders in this book you will instantly remember. Others, it was the first time I heard of them. A number of the cases in this book are mothers who kill their children for reasons that range from postpartum depression/psychosis to straight out narcissism. I think we find these types of murders the hardest to take. Children should be safe in their homes. Parents should be protectors. Too often they are not. I appreciate the authors bringing up postpartum depression/psychosis. I think this is a subject we all need to learn more about. Many women have postpartum depression after giving birth. What is it that makes the difference between those who get past the depression and recover and those who slip into psychosis? What factor is present that some women step over the line and kill their child? I have the most difficulty with those who kill multiple children over the course of a few years. How does this happen? Is it really postpartum psychosis? Does the mother never come out of it? I mean how do you kill your child, then get pregnant, give birth, kill that child and repeat yet again? Do you never think about what you did? Is there no remorse that prevents you from even taking that chance of getting pregnant again? There are so many unanswered questions or unsatisfactory ones that books such as this are necessary reading. They bring up what was down and make you question, wonder, think. They require a response, an accounting, research. History forgotten is history repeated. Then there are the others in here. Women who kill out of jealousy or for greed. We all deal with some form of jealousy at some point and even the rich sometimes want more yet we all are not out there committing murders, though, in reality, we are all capable. What is the difference? This is what makes true crime fascinating to me. Perhaps, to me, the most chilling chapter of this book is the last. Youth who murder. Are we becoming a more violent society? Are we losing our moral compass? The cases in this book make me wonder if our children, (society on the whole), are capable of feeling empathy. What needs to be done to prevent the violence from rising? This book will bring these questions to you. The cases are horrifying, chilling and even baffling. Excellent book to open up discussions on society and violence. If you think women who kill are a rarity or that they kill in less horrifying ways than a man, read this book. Her life was filled with constant loss and upheaval, but Marie Tousant was eager to put it all behind her. She leaves Hapville, Louisiana, hoping to find inner peace on a tropical isle. With Louisiana in her rear view mirror, Marie attempts to create a path to a normal life, but she soon realizes how inconsistent a sense of normalcy can be. Haunted by her past in every conceivable way, Marie recognizes that she can’t run from herself. Marie’s only ally, Libby Townsend, is thousands of miles away when unsettling emotions surface and a sense of dread takes hold. A welcome surprise eases her worries, but it doesn’t last and her world begins to unravel. Evil forces take hold and tighten their grip; Marie and a sinister being summoned by practitioners of the Dark Arts clash. In the face of a heroic battle, Marie Tousant can’t help but wonder if there’s anyone left willing to protect her, even in the face of death. Marie took one last look around her home. White sheets covered all of the furniture and the walls were bare. The taxi driver honked the horn and it echoed inside. She looked at her suitcase and sighed. The memories of her parents and Granma Tilde tiptoed into her subconscious. They were all gone. She was all that was left of them and she had to go out into the world alone. Hopefully the world would be kind and not devour her. Marie opened the front door, put her suitcases outside, and closed the door behind her. The night sky illuminated with a constellation of stars. Marie rolled her suitcases down to the curb; the cab driver stepped out and put her suitcases in the trunk. They entered the cab and drove away. Marie lost everything that was dear to her; Libby Townsend was the closest thing to family that she had left. She said her goodbyes earlier in the day. Marie didn’t want any erratic emotions to hinder her departure when the time came. Libby looked out of her living room window. Marie made her promise that she wouldn’t come over when she was about to leave for the airport, but she never said she couldn’t watch. Libby tried to hold back her tears, but it was inevitable. She looked at the cab drive away until the rear lights faded. Libby slouched to the floor and cried silently. The bayou was abuzz with lights. The reflection of a fire reflected on their masked faces. They knelt in a large circle around the fire, with their heads bowed to the ground. A man huddled against a red oak tree with a Congo drum clenched between his thighs. His fist struck the drum and rhythmic sounds flowed through the air. “Rah!” They responded, repeating the word every time the drummer hit a specific beat. Their bodies waved in a serpentine motion, sending their spines into a bell curve. The beat changed and they rose to their feet, pranced, bucked and stomped. Clouds of dust rose to their waistline and the drummer changed the beat yet again. A figure with a horned white mask broke through the circle. The fluidity of their movements trickled out to the bog people who began thrusting their right foot backward, as if they were about to charge. The figure was stacked in hundreds of layers of tree roots that stopped below where a knee should be and another layer that ended just above the feet came to the forefront. It stomped and gyrated its body to the Congo beat. The more it moved, the wider the circle became. Suddenly the figure jumped into the fire and sent flames ten feet into the air. A face animated within the flames. The circle closed and the bog people knelt, and bowed, resting their foreheads to the ground. The drummer’s beat lowered. A young woman in the group stood up and walked over to where two cages sat, one with a crow and the other with a dove. She removed them from the cage, pressed their breasts together, and bound them with barbwire. Their blood flowed until it became one. She removed a vial from a satchel, and drank its contents. The bonded crow and dove fell to the floor. It didn’t take long for the black mamba’s venom to send her body into violent twitches as the venom coursed through her veins. She collapsed. A man in the circle emerged with an ivory handled knife. He knelt beside her, made an incision just below her navel, and inserted the crow and dove inside her womb. Death loomed above her and the full moon faded when her eyes went black. She had offered herself as a sacrifice to summon a creature more powerful than the Soucouna. Once the creature was summoned, it would be nearly impossible to kill it and it possessed the ability to smell a Silken thousands of miles away. The drummer’s beat became erratic and the bog people stomped, jumped, and spun their bodies, until the last beat hit the drum. 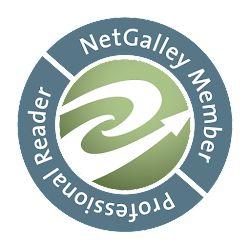 Last week Mila was on the blog and had offered a copy of the first book, Thin Skin Soul Pinned to one lucky person who left a comment. Unfortunately something went wrong with my comments. While it showed there were some, I have never found them. I apologize. I believe we have fixed the problem, (thank you to a computer savvy friend). The giveaway will run this week! If you could get away from all the cold and snow covering much of the country, what island would you choose to soak up some sun and warmth in? Feel free to have a cup of coffee while you indulge in one of my guilty pleasures, paranormal mysteries. 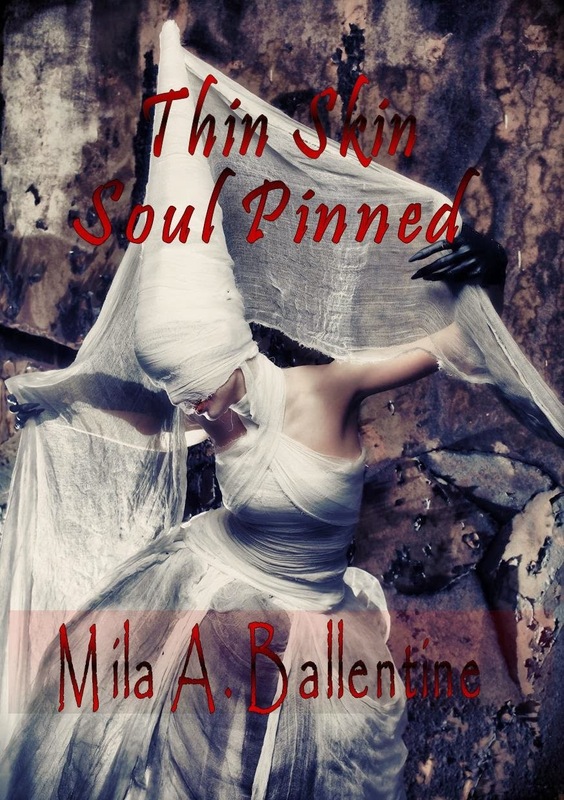 There are a lot of paranormal books to choose, and I have read many, but there is one in particular that has left a lasting impression on me, Thin Skin Soul Pinned by Mila A. Ballentine. 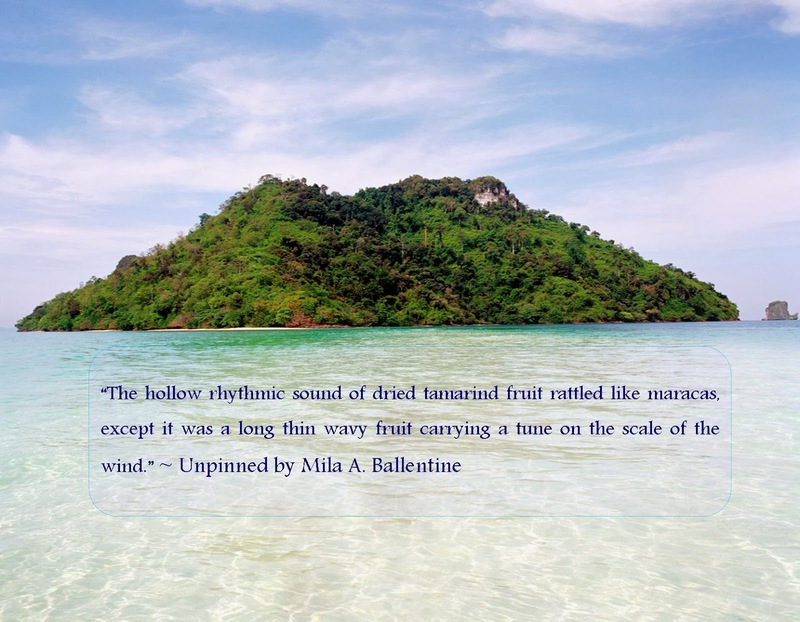 Without further ado, please join me in welcoming author Mila A. Ballentine to the cafe. What is the driving force behind your stories? I have been fascinated with all aspects of unexplained phenomenon for some time now. My fascination with such things helped to foster an imagination fueled by the stories my mother told throughout my childhood. Her tales weren’t rhyme ridden like Jack and Jill. The stories were scarier than Hansel and Gretel, and the most unsettling part was that they were true stories. Writing became an outlet where I could unleash my take on mysterious occurrences, giving life to ideas that made it difficult to differentiate fact from fiction. Thin Skin Soul Pinned falls into that category. It was the first paranormal mystery I have written. It’s a story that familiarizes readers with a fictional town in a state that most associate with dark magic, Louisiana. As the story progresses, the reader is whisked away to an exotic isle, the Bahamas and immersed in the culture. It’s difficult not to get drawn into the characters reality. They have joys, pain, triumphs and failures like we all do, but it’s how they deal with those situations is what makes this story a gripping fiction. I could go on and on about this book, but I won’t. 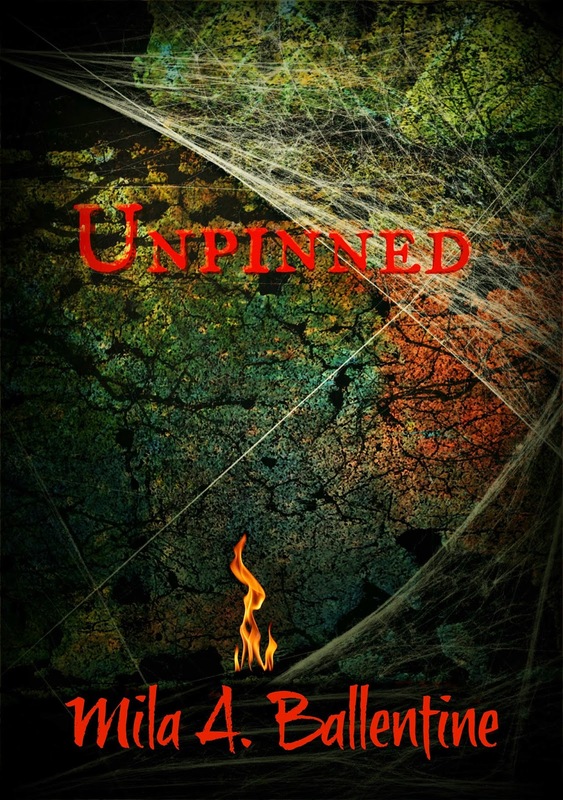 The work should speak for itself, but that would entail you reading Thin Skin Soul Pinned. Exotic items are invaluable and some only come around once in a lifetime. Marie Tousant, a native of the Bayou, finds herself in a dilemma when practitioners of the dark arts embark on an eternal hunt. An opposing force materializes and shares secrets that may save her from the grasp of evil. Fortunately, her allies are willing to protect her, even if it cost them their lives. Marie Tousant sat at the edge of the bayou and looked out over the water. Her red hair flowed just above the water and her reflection blended with tall weeping willows; their branches drooped near Cypress trees that displayed their dark leaves with trunks that resembled elephant feet. Nearby, Swamp Oak stood tall draped in a coat of moss. The trees cast an eerie shadow of everything that stood around the water’s edge. It was as if there was another world beneath her reflection. Marie picked up a pebble and tossed it into the water. It made a circle where it landed and sent ripples that cascaded out along the surface of the water. Her mother once said that if she listened hard enough, she would hear the bayou call her name. Marie hoped to sail the bayou when most people dreamt of sailing the ocean. There were many unknowns out there that she couldn’t wait to explore. The only people who shared her enthusiasm were the folks who lived in stilt houses in the marshlands. The river was a source of food for her family and others, and they tapped into the resource often. Her father, Dan, liked to fish on his days off and Marie enjoyed watching him in action. He’d ramble on about anything that came to his mind and she’d listen to the sound of his voice even when she didn’t understand what he was saying. Every time he caught a fish, Marie clapped as she watched the fish flip and twist its body as it danced on the hook. He lost a few, but Dan reeled in many fish that were bigger than the one’s he’d lost. Afterwards, her mother, Angelique, sat on a plastic chair in the backyard and vigorously scaled and gutted the fish in a large aluminum basin. Later on, she seasoned them and put them in the frying pan on the stove. As far as Marie was concerned, nothing exciting happened in Hapville, Louisiana except for her mother’s cooking. The smell of catfish frying filled the house and wafted out to the porch where Dan sat on a wicker chair waiting for his share of the spoils. The sun shone on his short tapered black hair. The sun cast a light shadow on Angelique’s round face and her long wavy brown hair glistened in the sunlight as she rested on a reclined patio chair. Her full hazel eyes hid behind strips of long lashes. She watched the clouds as they moved across the sky. Soon her eyelids began to flutter and fall, and before long she fell asleep. Marie looked over the railing. The elongated neck of Louisiana Iris’s displayed red petals that drooped and crinkled at the edges near vascular ferns that spread their arms everywhere. The coy beauty of white gardenia’s lined the edge below the raised patio, followed by a stretch of manicured lawn that flowed down close to the bayou’s edge. From there, wild shrubs took over and large trees plumed out of the river. Marie looked over her shoulder and she saw that her mother was fast asleep. She tiptoed off the porch and walked down to the edge of the banks. Marie unlatched the rope that tied her father’s rowboat to a wooden post, climbed in, and pushed the boat away from the shore with an oar. She was finally embarking on the journey that she had envisioned for so long. Marie’s bluish-green eyes took in the scenery until one of the oars slipped from her hand. She reached for it, but it drifted away. Her thirst for adventure faded and was quickly replaced by fear. Her shouts, followed by cries echoed throughout the backyard. Angelique awoke and looked around to see where the noise was coming from. “Marie?” Angelique stood up and walked down to the bayou where she saw their boat drifting to the other side. “Marie!” She clenched her hands rubbing them aggressively against the flesh of her palms. The longer she was out there, the more Marie thought she would be stuck there forever. Angelique’s heart raced as she saw Marie drifting further away. She took off her shoes and jumped in the murky water. Nothing mattered except helping her daughter. Marie’s eyes were fixated on her the entire time. Angelique reached the edge of the boat and pulled it to the shore. “Give me the rope, Marie.” Angelique put the rope around her body, and crawled out of the water. She tied it around the trunk of a tree. Angelique wrung her hair and water poured out. “Dad can get the boat later,” Angelique told her daughter softly. Marie crawled out of the boat and hugged her mother. Angelique was wet, but Marie was the one trembling uncontrollably. Angelique broke down and sobbed as she held her daughter. It was a traumatic experience for a four year old, but it would prime her for the things to come. Angelique walked through a gathering of closely knit bushes and trees that snagged at their clothing and itched when it touched their skin. She put Marie down when they got to their back yard. Marie spotted a dragon fly and she took off running behind it as if nothing ever happened. Angelique shook her head. She let Marie play for a while before they went indoors. Angelique stood in the kitchen surround by tall white cabinets with ornate handles that hung over the maple counter tops. On one side, matching glass cabinets displayed China dishes that were handed down through the family over the generations. A small desk stood in a corner near the walk-in pantry where she often sat and looked through the bills. Dan entered the kitchen and kissed her on the cheek as he always did when he came home from work. He sat on a chair beside the refrigerator, loosened the laces on his steel-toed boots, and took them off. Dan laughed. “That’s not even a word.” He put his shoes in the washroom down the hall, and closed the door. His finger trailed along the edge of the family photos as he walked through the hallway to the kitchen. The expression on his face changed from relaxed to tense. He looked at Marie who sat across the hall from him in the living room. She lowered her head. “Come here.” Marie walked to her father, Dan picked her up and she wrapped her legs around his waist. He kissed her on the cheek and she rubbed his kiss away. Dan looked at his wife. “I had to swim out to get her.” His attention quickly returned to Marie. “Yes daddy.” Her full lips drooped as she pouted. “I tied the boat to a tree on the other side,” Angelique told him. His squared jawline hardened. He never got the glamorous tasks, if there was such a thing when it came to parenting. He got his boots from the washroom, opened the glass door, and stepped outside on the patio. Dan put on his steel-toed boots and walked down the steps. He parted his way through itchy bushes on the outskirts of their property to get to the other side of the bayou. Once he got there, he found the lost oar along the edge near the boat and got in. He rowed the boat to their yard. He understood Marie’s fascination with the bayou, but it wasn’t safe for younglings to go exploring on their own. The boat cut through the reflection of the trees disrupting the picturesque view of two worlds that looked identical but were complexly unique. Do you have any new releases you’d like to tell us about? News Flash: The sequel will be available in February! Release date: February 11, 2014. Lastly, I’d like to gift an eBook copy of Thin Skin Soul Pinned. Leave a comment to enter the drawing. Good Luck and thank you for spending time with us at Alaskan Book Cafe. I love hiking. In Juneau there are many trails to go hiking on. Over the years I have been on most of them. Since I have been ill, I haven't been able to go on those hikes. I miss them so much. Now that the radio active meds are done with I am hopeful for a return of many things; catching up on this blog, cooking and hiking being at the top of the list. I have been warned that it will take awhile for the radiation to leave my body and that it could take a year to feel right again. My plan is to do what I can while working toward expanding what I can. With that as my plan, I will share a couple of brief videos from the trail. The star of the video is SP. I started calling him SP, (for Skilled Protector), when I began discussing him with some online friends. I would tell them are many adventures of those wonderful hikes in the woods. I am not young. I am not in "shape" though I have a shape. These hikes, (which I now love and really do miss them), were fun filled adventures and I thought SP was protecting me. Most likely he was and really had no intention of killing me. I tried to upload another video but was unable. I will add it on another day. I hope you enjoyed seeing a bit about our trails here. They really are wonderful. I have seen deer many times. Bears only a couple of times. An area to go for some great whale watching is St Theresa's Shrine. I love this place! There is a church there and trails along with areas to sit and enjoy the beauty. Thanks for stopping by! Enjoy the Super Bowl weekend!